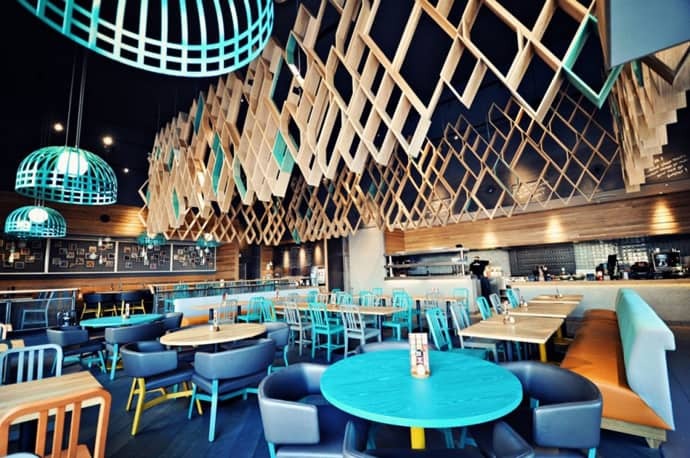 The client had a clear idea of audience, however the challenge was that the location was in a remote leisure park that already attracts a certain type of cliental and has a variety of competing restaurants in the vicinity. 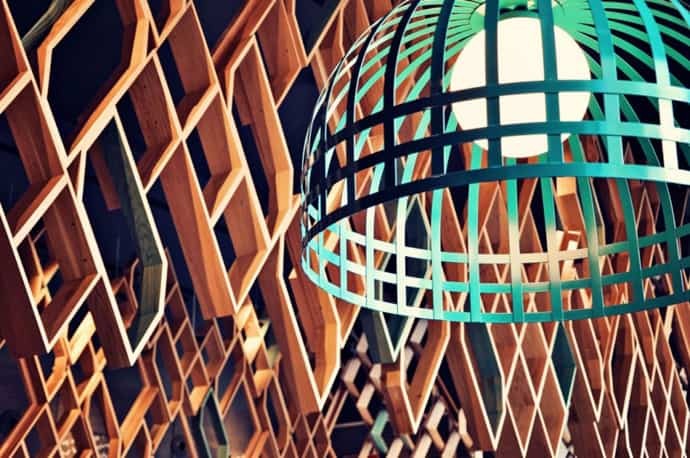 Taking into account the scale of the interior – 10m high ceilings and a total area of 380 sq m – Blacksheep decided to give the restaurant a New York loft feel, combining wood and metalwork accents with a pared-down aesthetic. 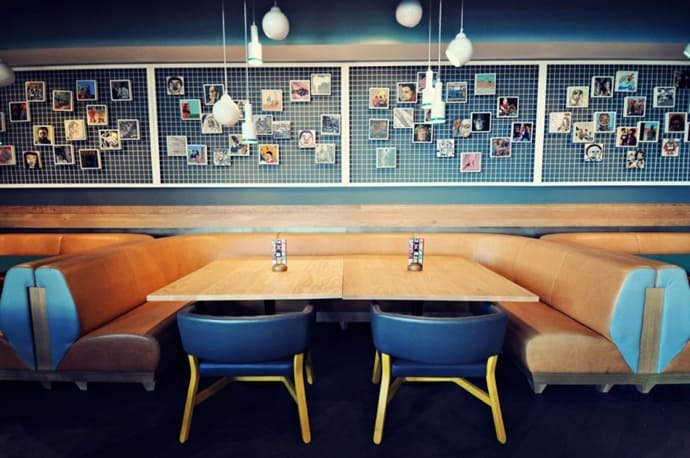 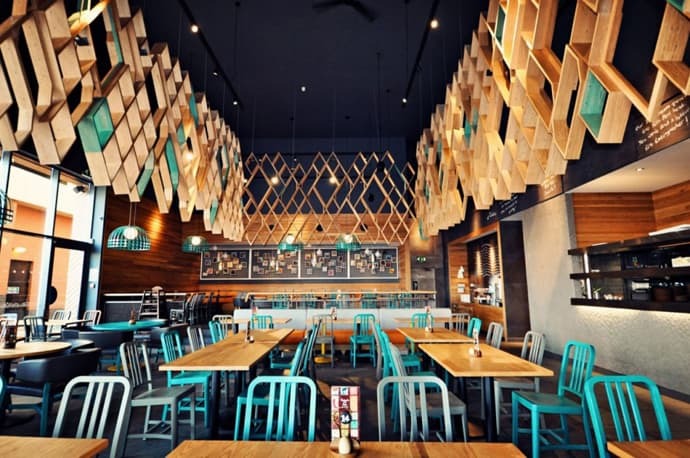 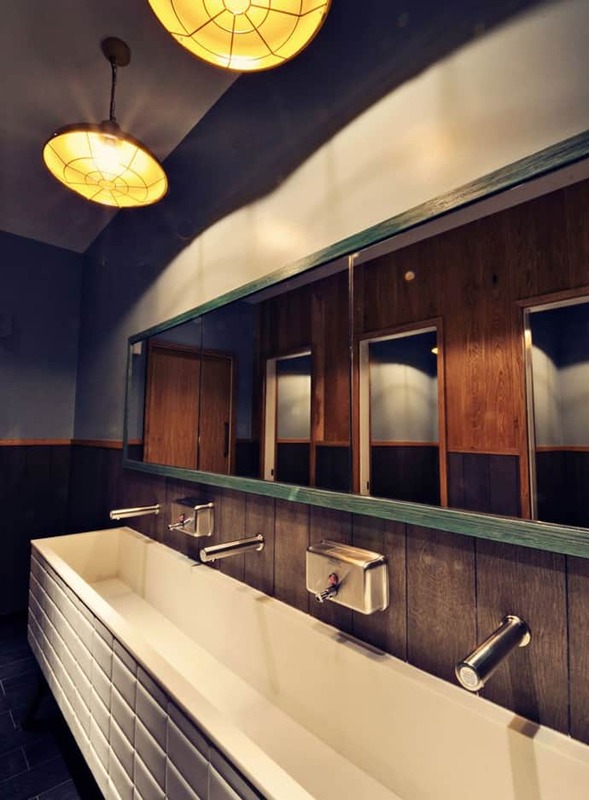 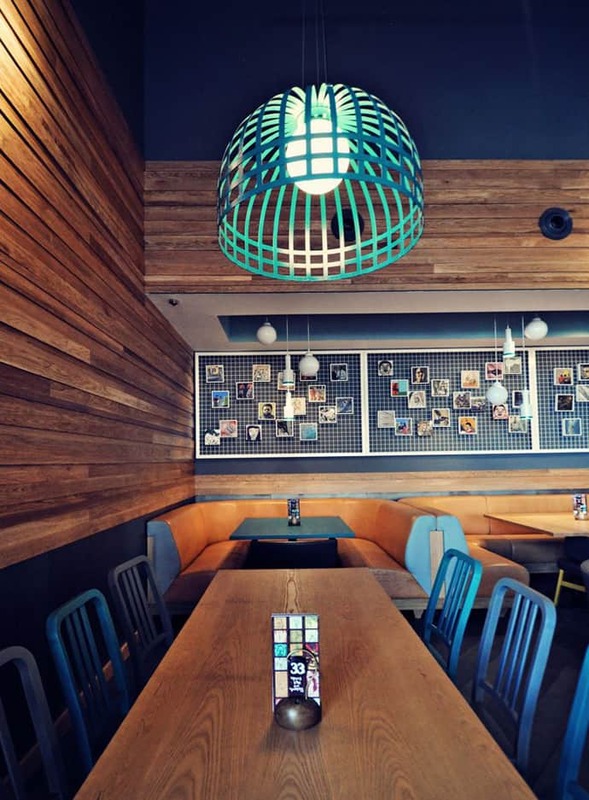 To make the space feel more intimate, Blacksheep installed a raised platform with booth seating and bespoke timber latticework, as well as designing huge custom-made light-shades. 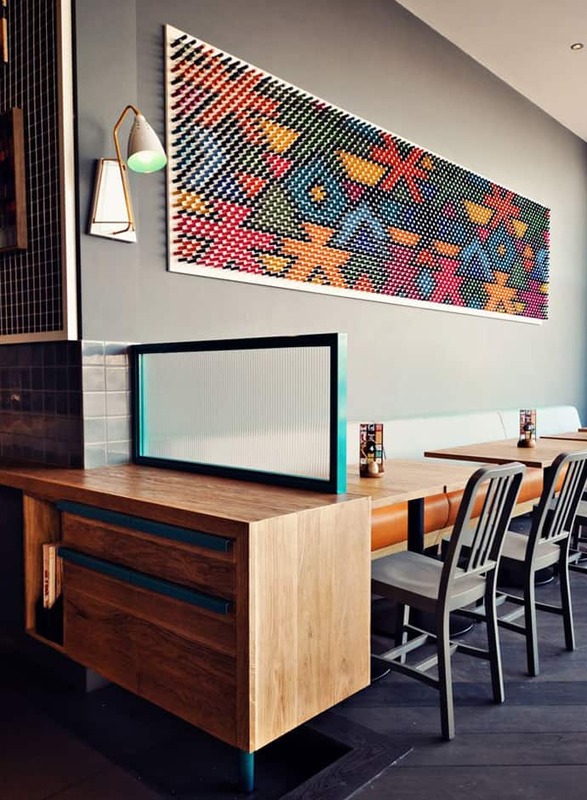 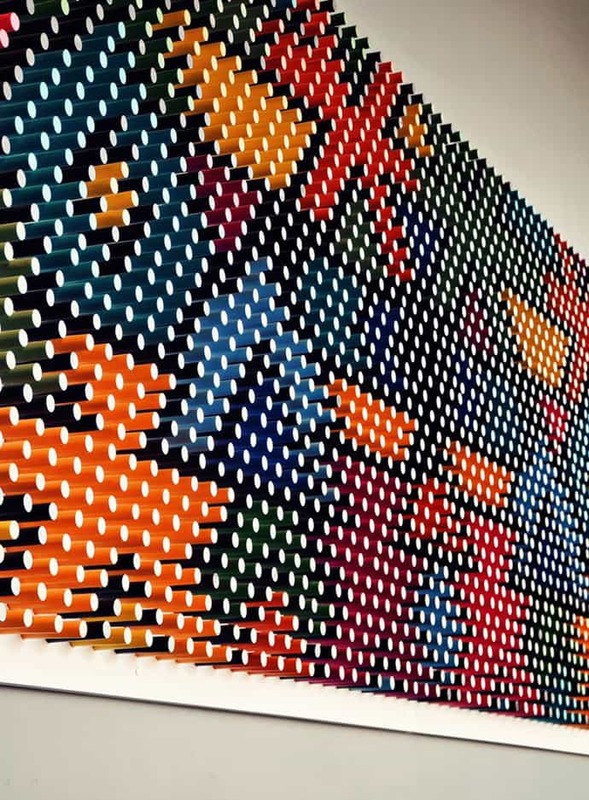 Blacksheep also created a large-scale bespoke artwork, in the style of Southern African Ndebele tribe, using thousands of painted wooden dowels. 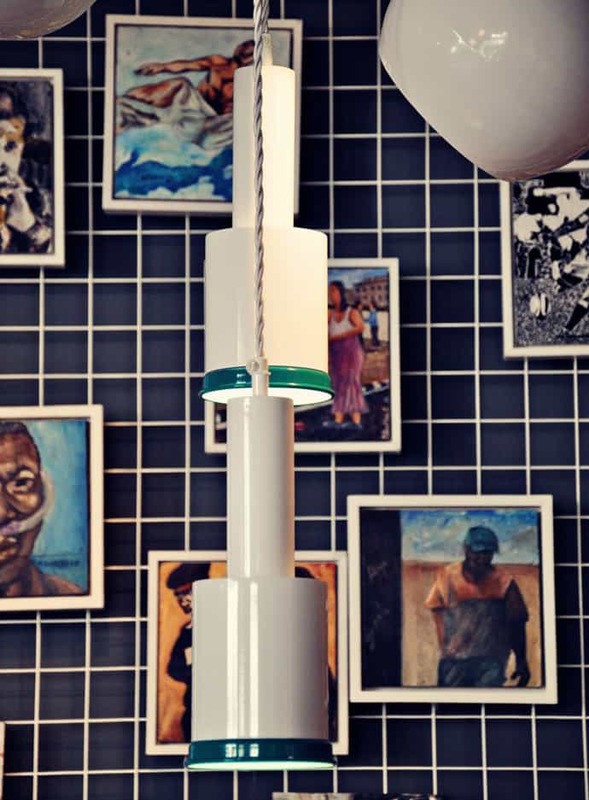 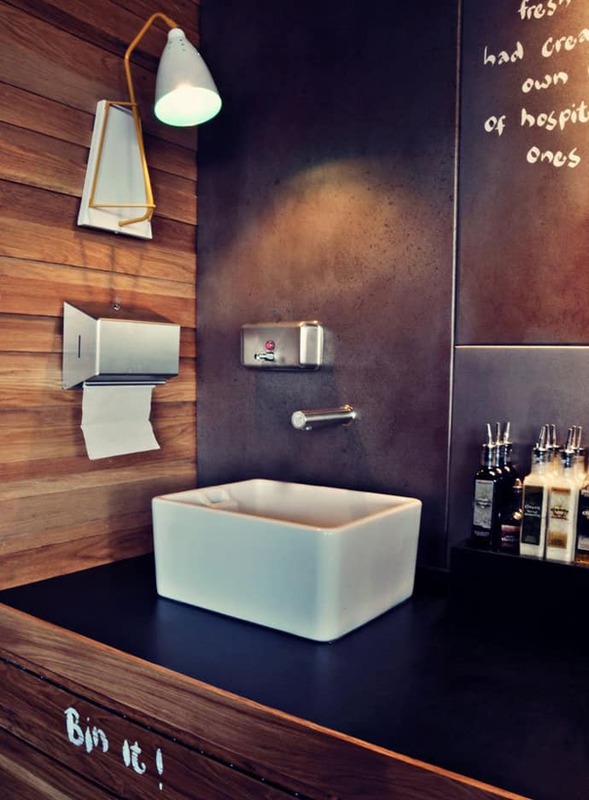 Bold and iconic, it hangs in pride of place as you enter the restaurant.